A wheels-off sequel that offers both messy chaos and loads of fun for fans of the sci-fi alien genre. Shane Black’s “The Predator” is not the film you’d expect. The fourth official installment in the franchise is receiving mixed reviews, rightfully so, as this film is a wheels-off sequel that offers both messy chaos as well as loads of fun for fans of the sci-fi alien genre. 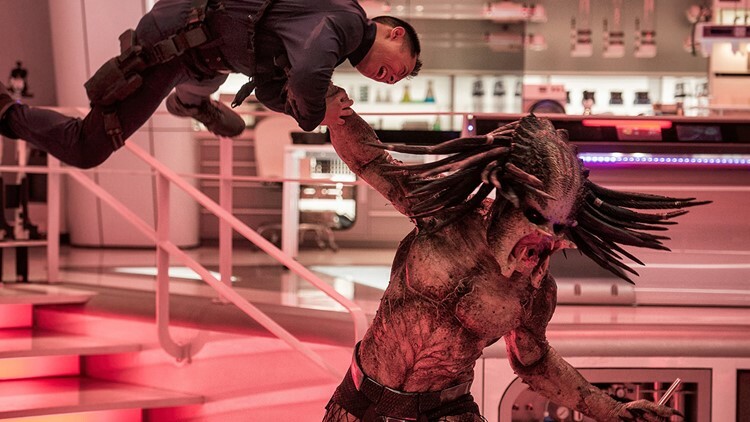 The fourth installment in the ‘Predator’ franchise, not counting the ‘Alien vs. Predator’ movies, “The Predator” is a sequel to the 1987 and 1990 films, set in present day, and features a genetically upgraded version of the deadly Predator alien who sets his sights on Earth. After crash landing in the jungle, the Predator crosses paths with a special forces soldier, who steals a piece of alien equipment and mails it back home to prove its existence and avoid becoming a patsy for a secret mercenary group attempting to terminate any witnesses. When the soldier’s autistic son comes across the technology and inadvertently activates it’s tracker system, a series of dangerous events unfold. Going into this film, I thought I knew what I was getting into - a typical alien-monster movie much like previous installments. Suffice to say I was quite surprised to find a disorganized, yet extremely entertaining film that resembled an 80s/90s alien-horror film with a heavy dose of black comedy. What started out as your mediocre sci-fi movie quickly turned into an over the top, violent film with more than its share of laugh out loud moments. While the action and humor is hit and miss, the wow factor this film presents is off the charts, both positively and negatively. One of the things I found most interesting in my research on this film was that writer/director Shane Black (“Iron Man 3”, “Kiss Kiss Bang Bang”) was a supporting actor in the original 1987 “Predator”. 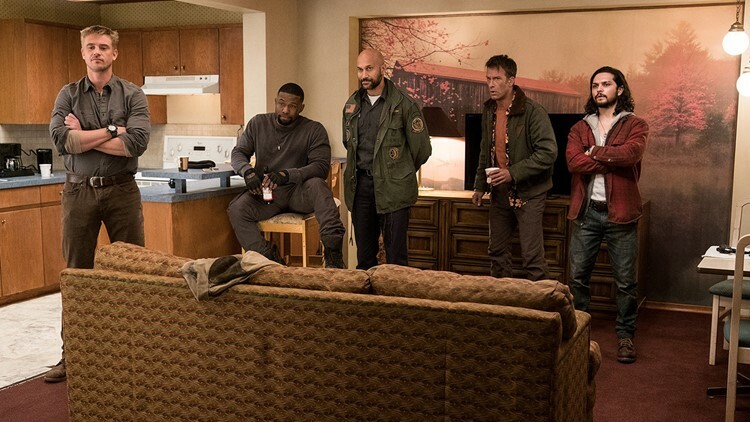 Similarly, Black’s newest adaption features an original producer from “Predator”, has plot details that link back to the 1987 and 1990 films, and even places actor Jake Busey in the role of the son of a character from the original film who was played by his real-life father and actor, Gary Busey. “The Predator” also hired the same company from two of the ‘Alien vs. Predator’ movies to provide similar special effects for the creature in the new film. 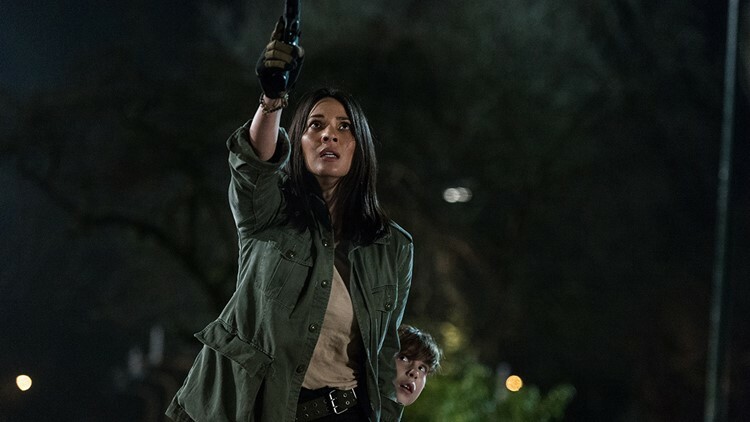 “The Predator” is packed with recognizable actors, from Boyd Holdbrook to Jacob Tremblay, Keegan-Michael Key, Olivia Munn, Sterling K. Brown, Thomas Jane, Alfie Allen, Yvonne Strahovski, Trevante Rhodes and more. Much like other parts of the film, the number of characters and side plots, in general, feel a bit unorganized, and while some are utilized more than others, I applaud the effort to pack the film with familiar faces and more or less useful information. The attempts at black humor can be a bit reaching and crude at times, but if this brand of comedy is your thing, I can promise plenty of laughs. It’s hard to classify “The Predator” as a good or bad film. On one hand, I’m hard-pressed to call it anything other than a mess, but at the same time, this mess is quite a good time and has much to offer in certain areas. As previously stated, it's not the ‘Predator’ film you’ll be expecting, so if this sounds like it might appeal to you, then I’d highly recommend checking it out. It’s my hope that this won’t be the last of Shane Black’s ‘Predator’ films, for better or worse. “The Predator” is rated R for strong bloody violence, language throughout, and crude sexual references. Running time is 1 hour and 47 minutes.